The Diocese of Scranton has reassigned a priest removed from his previous assignment for accidentally displaying questionable photographs of men at a Church event. 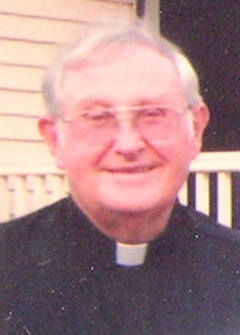 According to 13 May 2010 edition of The Catholic Light, the newspaper for the Diocese of Scranton, announced (on page 3) that Reverend Edward Lyman has been assigned as “Senior Priest” “from Leave of Absence for reasons of health”, to Holy Name/Saint Mary and Holy Trinity Parishes, Swoyersville, Pennsylvania effective April 28, 2010. Father Lyman had been previously assigned as administrator of St. Anthony, St. Bridget and St. John the Baptist parishes in Throop. According to an article in the Scranton Times Tribune, Father Lyman was removed after he displayed inappropriate, although not pornographic, photos while trying to set up a DVD related to the Diocese’s fund-raising efforts. The photos were displayed at St Bridget’s church before 8 a.m. mass on October 25, 2009. The diocese, which has used the “absence for reasons of health” line before in cases where inappropriate or sexual misconduct was discovered, has seemingly reinstated this man to a position where he will be able to have close, personal contact with children. Once again, the Diocese of Scranton has played a waiting game and hoped that no one would notice it has returned a priest very questionable behavior back in the line of duty. Do you need more proof of how seriously the Diocese takes cases of sexual misconduct?